My name is Sarah Keerie and my home is in Norfolk, not far from the North Norfolk coast. With several other humans in the household, we also have house rabbits and some chickens. I would like a cat one day (working on that one!). I love to craft, whether this has been sewing (I remember making small animals with my nan using her Singer sewing machine, which I think was my great-grandmother’s and is now mine) and cross stitch. I then found paper! Whether making cards or scrapbooking, I started making my own cards for family and friends and then became hooked on the handmade. One thing I found with paper crafting, is the love of ‘new’ things. If you are a crafter you may be like me and have that ‘untouchable’ item, whether a sheet of paper that is just for ‘stroking’ or some embellishments you can’t bear to part with. They look cool in the package right! I had my own scrapbooking store, which started small and ended up with a large premises in Berkshire, if you know me you will remember The Scraporium. Sadly, and it was such a huge decision, when the smallest human in the family arrived and other child issues that needed more attention, we took the decision to close. That was a really hard thing to do and, yes, I miss The Scraporium. But, back in early 2007 I was introduced to Stampin’ Up! (annoyingly, it was only available in the US and any purchases were via auction sites or buying from non-demonstrators!) this was a teaser as in November 2007 Stampin’ Up! launched into the European market. Needless to say, I joined as a demonstrator – mainly to get the demonstrator discount, who doesn’t like to save on their purchases!? Another thing that was really helpful was that if you have trouble with finding coordinated products, Stampin’ Up! has the answer. I am loving the products all these years later, so they must be doing something right. They must be doing something right as in 2018, they celebrate 30 years! In between crafting, I completed an Open University Honours degree in 2016 (a tick off the bucket list). I love to share the Stampin’ Up! products, and one day hope to earn one of the Stampin’ Up! incentive trips, this means I am also really grateful to my fellow crafters who have shopped with me over the years. 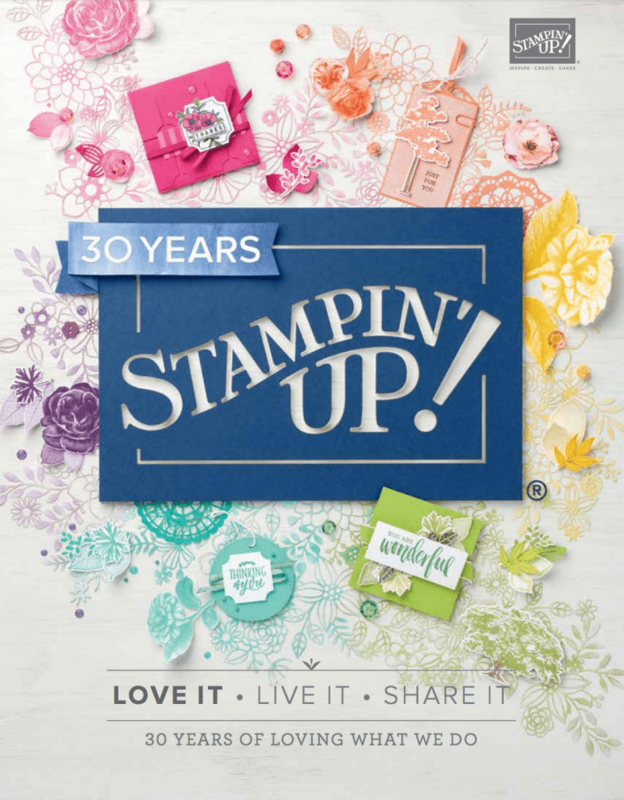 As I touched on above, in 2018, Stampin’ Up! 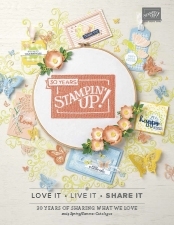 celebrates its 30 year anniversary, not many people know that Stampin’ Up! has been creating products for all this time allowing people like me to create, inspire and share the products. And for you, my valued customer, to create your amazing projects. I am very fortunate to have made lots of friends and met (and meet) some wonderful people. I’ve met Shelli and Sara, other members of the head office, those from our European support team, I have found it to be a pleasure to be a part of the fun we have in creating, inspiring and sharing. Thank you for stopping by, and I look forward to sharing the wonderful Stampin’ Up! product line with you.